4:30 PM: k. was here working on his beautiful landscape as i continued work on purple rock & double creek. i continued to make revisions until 4pm, when k’s dad came to pick him up. we both did good work. as always i do some of my best work when we’re painting together. purple rock, above, kept getting more and more spare. the goal is to reach that tenuous point where i use the least line & color possible to trnsmit the awareness that you’re looking at rocks & water without sacrificing the abstracted painterly quality. the same holds true for double creek, below. 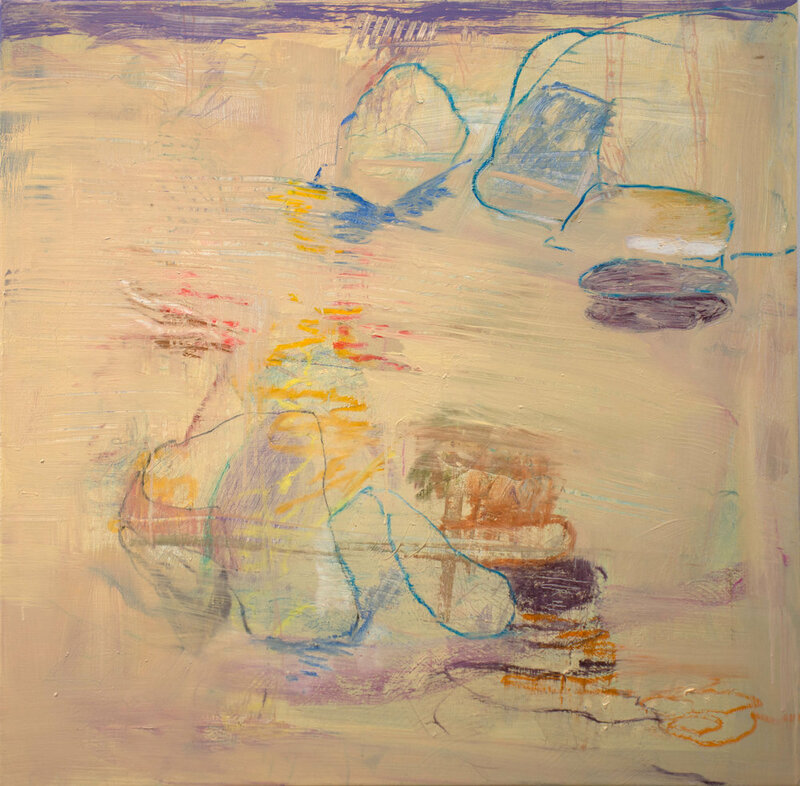 the purple band of color at the very top of both paintings seemed an essential grounding element as a sign indicating the shoreline. 2:12 PM: more work on purple rock, which now looks like this. i like what happened with the violet band on top. i had mixed that color this morning for a different purpose. today i’m going back into double creek (below, left) as well as revising purple rock, 36x36”. here’s what they looked like at 1 pm. work continues; updates as they become available.